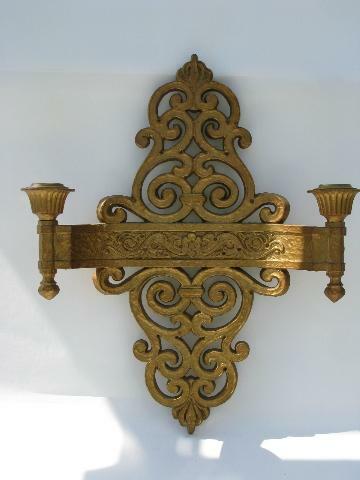 Vintage 1970s Spanish colonial style plastic wall sconce brackets for candles, retro Syroco. 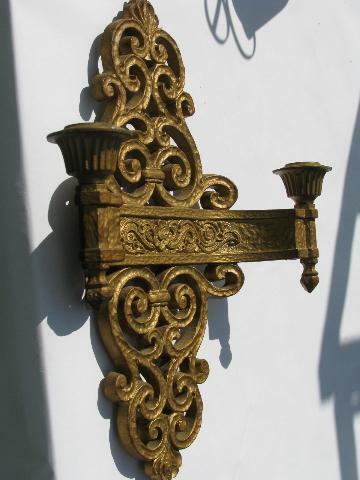 The sconces measure 13 1/2" tall x 11 1/2" wide across the arms. 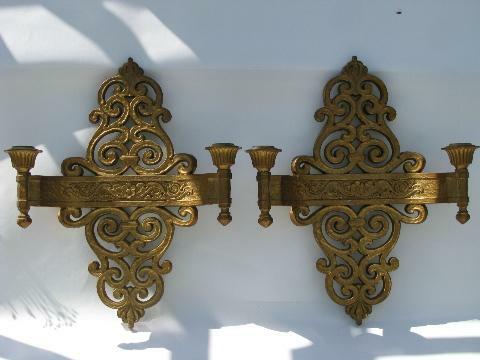 These have no chips or cracks, but do have a few rubs to the gold finish.